Das erste Klavichord war im Jahr 1698 erfunden. Bis heute haben Menschen für mehr als 300 Jahre Klaviere hergestellt. Nachdem viele Kapazitäten die Struktur und das Timbre der Klaviere verbessert haben, ist das Klavier schon das Tastatur-Instrument mit der breitesten Reichweite und dem reichsten Ausdruck der Welt geworden. The first clavichord of the world was invented in 1689. Till today people have been manufacturing pianos for more than 300 years. With the improve in technology by the masters of the past years, the structure of the pianos is better designed and the timbre gets more and more perfect. 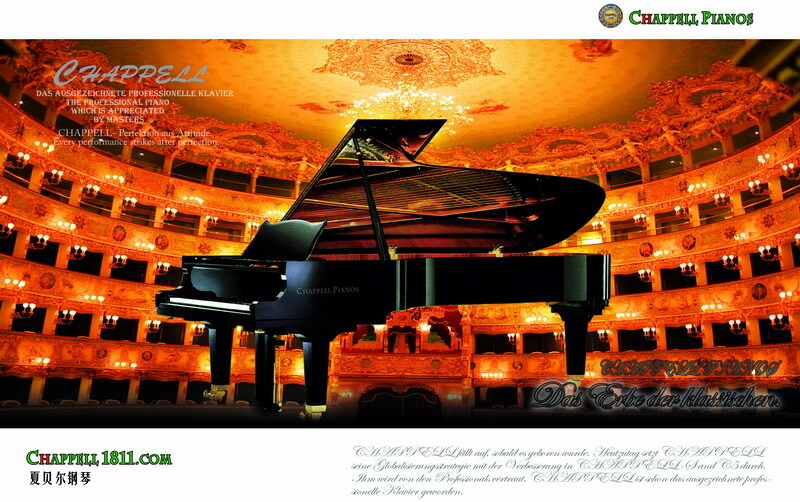 Pianos have been the keyboards with the widest range and the richest expression of all the modern instruments.